This is officially the world's largest QR code. 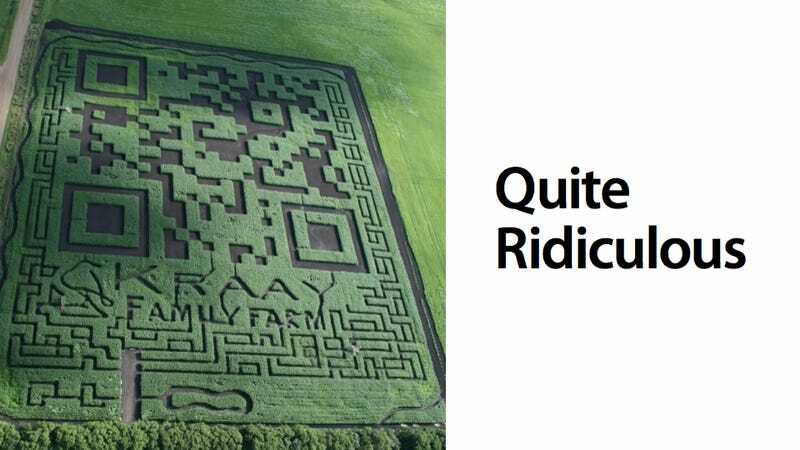 Carved into a field of maize in Alberta, Canada, it measures 309,570 Square feet and links to the Kraay Family Farm website. It is also dumber than every other stupid QR code that exists.